Oh man after minimal sleep there was a well deserved lie in today. Aside from a rather weird pillow that kept re-inflating itself as you got comfortable this bed at the Palace Hotell in Tallinn is one of the most comfortable I’ve ever slept in. So today is the day that we properly covered the Old Town. There are still places like St Nicolas Church, the KGB museum and Kiek in de Kök to check out but that’s what the final full day is for. 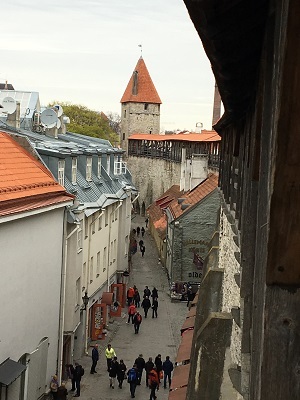 One thing that continues to completely astound me about the Tallinn Old Town is just how well preserved it is. A huge proportion of the city wall is still intact in some shape or form and there are gates and towers that still survive to this day. 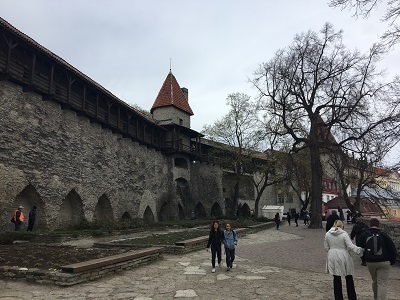 Similarly, it would appear that the Tallinn Town Hall is 600-700 years old and is the oldest hall of its type in Northern Europe. Just, wow. As a nice link with my trip to Vilnius, we first sought out the plaque symbolising the northernmost point of the ‘Baltic Way’ – a protest in 1989 where over 1 million citizens of Estonia, Latvia and Lithuania formed a human chain through their capitals. As of now I have now stood at both ends of the chain. I guess I’ll need to find out if there is a similar commemoration in Riga when I end up visiting. After this we were originally headed for the walkable section of the city walls… but being the eager beavers that we are we got there s bit before they opened. 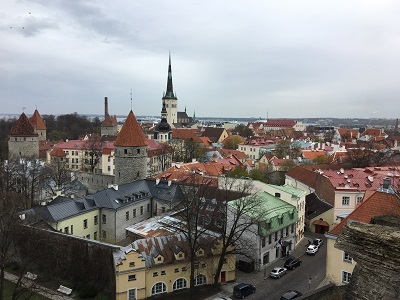 So we instead headed for Toompea (a small hill within the old town that overlooks everything). It is here that you can find the Alexander Nevsky Cathedral and Toompea Castle. I say Toompea Castle, but this is not a castle as we had expected. 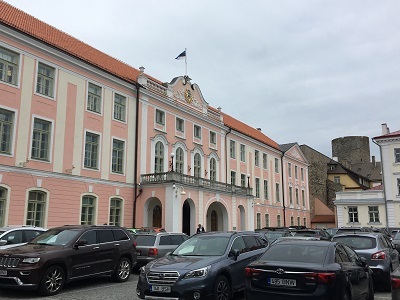 Instead, what we have today is the very pink Estonian parliamentary building that has been build into some of the surviving castle walls and towers. The tallest tower has the beautiful Estonian flag hanging from the top. Yes, I am still enamoured with this flag and I have already bought a number of souvenirs containing the flag. So from here we mooched around Toompea for a while. Getting lost in the winding streets and pastel buildings whilst entering way too many souvenir shops. Some embassies are up on Toompea including those of Ireland, Canada and the Netherlands. honestly, I cannot fault any nation that managed to snag a spot on Toompea, this is where you can get some beautiful views. 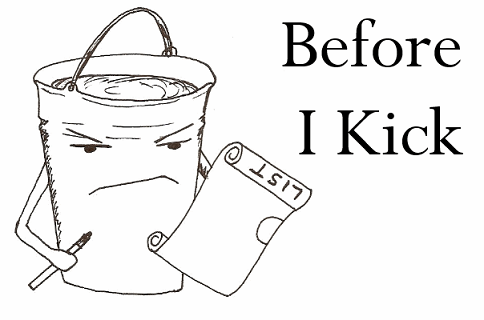 Such as this one. 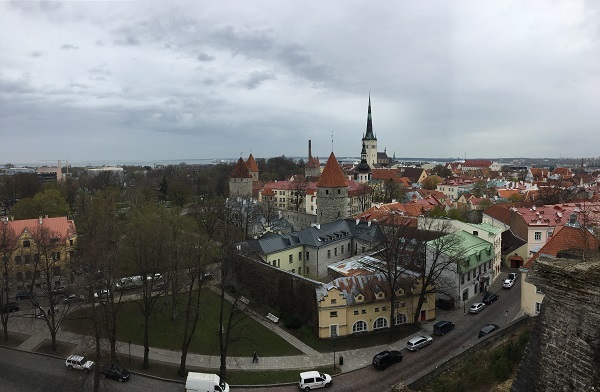 From up here you can really appreciate just how close the sea is, which goes a long way towards explaining all the cruise ship holidaymakers you see roaming the streets of Tallinn in large groups. By the time we were done with Toompea a drink was in order for whatever reason we decided to go to the cafe built into the walls around the Danish King’s Garden. Oh my god the steepness and winding of the the stairs. It’s shameful to admit just how much my knees ached after climbing up these and I very much deserved a slice of apple pie. We eventually made our way back to the walkable walls and took a walk along them. It isn’t a long walk despite the length of walls that are still around, but I guess not enough of them are connected or stable enough to allow a longer walkway. The people of York really should count themselves lucky there. From this vantage point of the walls it is clear that the Estonians are very proud of their city and all the buildings within it. Honestly I can’t blame them. I have yet to go too far into their more recent history, but if it’s anything like what the people of Lithuania went through then they deserve every inch of national pride. We dipped into a beautifully decorated Russian Orthodox church (that sadly didn’t allow any pictures, but trust me it was beautiful with its starry ceiling and gilded iconography) before venturing outside the city walls. 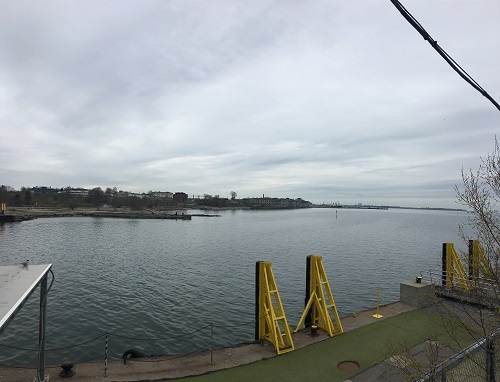 You see, tomorrow we booked a trip on a ferry across the Gulf of Finland to visit Helsinki – so we did a hint of reconnaissance to try and find the port. I knew that Tallinn is close to the sea, but I had never realised just how close. It’s not a beach city like many others, but there’s something about being close to the sea that just adds to a city. Dinner time! With the sun setting around 10pm it does feel weird to be having dinner in complete daylight. Thanks to a happy coincidence after walking through St Catherine’s Passage I managed to find a restaurant that served zander! For the uninitiated this is a fish that is related to perch and is also known by the name pike-perch. Honestly, I was expecting something a bit plainer for some reason. They way that the good people of Munga Kelda prepared this (pan fried with salt, pepper and dill before adding a bit of cheese on top) was absolutely gorgeous. I guess I would say that The taste of the fish is the fish version of gamy. 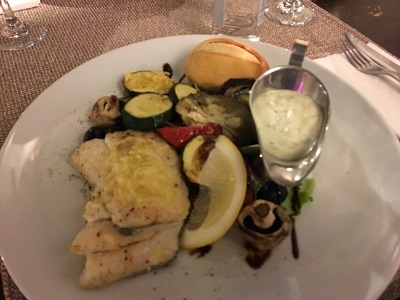 You can also tell from the taste how this is a predator fish like pike and black scabbardfish. Still, it’s a white fleshed fish with larger flakes than the scabbardfish. So yes, that the first full day done. Early start tomorrow to catch an 8am ferry over to Helsinki. I’m really excited about visiting Finland… hopefully I don’t spend too much on weird souvenirs and squeaky cheese.